Welcome to Day 7 of the 12 Days of Holiday Inspiration Blog Event brought to you by "The Inspiration Crew". We’re a group of online crafty blog friends who love being creative. This time we're doing a 12-day event to provide you with tons of Holiday Inspiration. This card was inspired by Anita. I made it very early in the year as part of my Church Christmas Card project. When you make 24 of one design, they have to be pretty simple and the most difficult part of this one was to wait long enough for the brown ink on the Hero Arts image to dry before sponging the sky and ground. The sentiment is from the same Hero Arts set. Here is a list of all the crafty ladies participating in this event. Be sure to visit all the blogs each day for loads of fun Holiday craft ideas! Another gorgeous card! Love all your inspiring work. I love the inking you did for the background of the silhouette, Ardyth. It really draws you in. Oh this is gorgeous Ardyth! 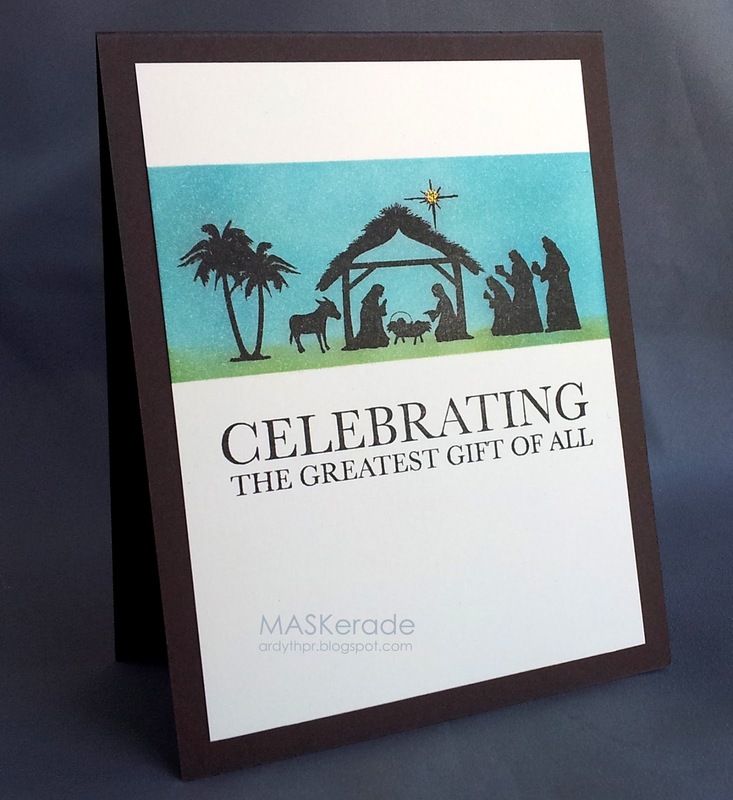 Cute card - love the manger scene. My favorite of all your cards so far! Classic, gorgeous, the true meaning of Christmas. Perfect! Love your wonderful image and the background. Oh my...this is so so beautiful and your coloring of the background is so pretty. I can not wait to try this one. More gorgeous inking and I love the touch of sparkle on the star! gorgeous card inspirational and divine!